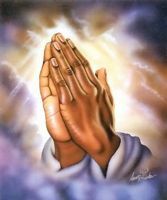 Dear brothers and sisters, please pray for us to get our debts cleared, we need money for clear my entire jewelry loan. Before 24 /9/2017 We need Rs 5,00,000 ( Five lakh rupees ) for settlement, At present I don’t have money for clear for my debts and pay to my house rental in this month, last one year my business also dull, how to clear all my problems. Pleas pray for us. Thank you!